Gobbledygeek episode 74, “Occupy Arkham City or, Batman Is the 1%,” is available for listening or download right here. This week, the boys get their Bat on, discussing the new video game Batman: Arkham City and the new animated film Batman: Year One. 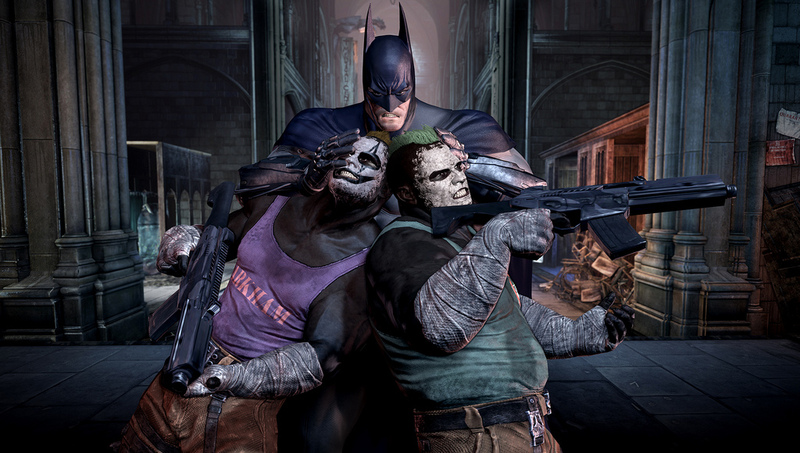 Does Arkham City improve on Arkham Asylum? Does Kevin Conroy have the greatest batvoice ever? Is Year One a faithful adaptation of Frank Miller and David Mazzucchelli’s comic book? Does Bryan Cranston make for a great Jim Gordon? These questions, and many more, are answered in the affirmative. Plus, a reader e-mail and some Formspring questions, including what may be the last “oeuvre” question ever. Next: Paul and AJ meet up for GobbleCon 2011! This entry was posted in Shameless Self-Promotion and tagged arkham asylum, arkham city, batman, batman arkham asylum, batman arkham city, batman year one, bryan cranston, commissioner gordon, david mazzucchelli, frank miller, gobbledygeek, james gordon, jim gordon, kevin conroy, libsyn, podcast, year one. Bookmark the permalink.